2 Bedroom Terraced House For Sale in Uddington for £150,000. 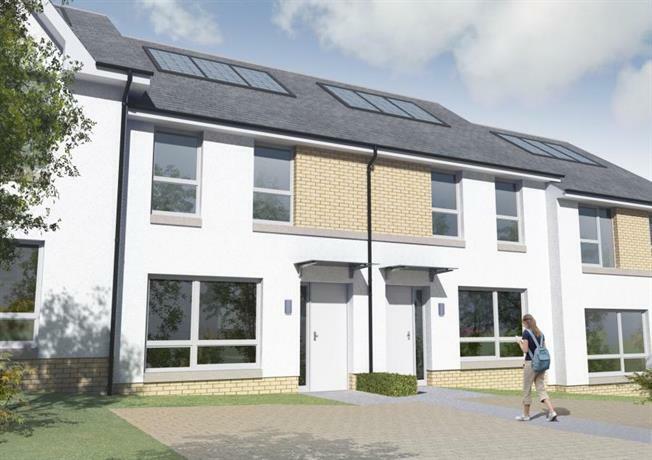 The Primrose is a delightful starter home or downsizer home.The ground floor contains a light and airy living room. Wide double doors lead to the bright spacious kitchen/dining area, allowing the option of opening this space up, leaving plenty of room to entertain. There is also a convenient well designed, stylish w.c. and shower room on the ground floor. The first floor consists of a spacious master bathroom and two generous sized bedrooms, both with fitted wardrobes.